This is what our entry hall way looked like this Monday. There is of course a story of how we got to that, because it started out as a yellow box, like all the other areas of our home, but that is for another day. Including the built-in you see there, which to the surprise of probably no-one is made of IKEA cabinet frames. We had that crown-chair-ceiling molding added during the remodel. Also the wall on the right hand side is new-ish. It's part of the wall that we put up around the old living room, which is now our guest/game room. This week I painted that wall turquoise. These baskets are from World Market. I use them to hold spam mail from the companies that don't obey the "do not mail" lists. There are quite a few and it is quite annoying. I added some Frog tape to the baskets and gave them a couple of quick coats of white spray paint yesterday to give them that kind of "dipped" look. The rug, I already told you about earlier today. Full tutorial on how I made this pattern. Then I painted it with fabric paint. The painted part made the hairs a little stiff. After I painted the wall turquoise using Valspar's Ocean Voyage, I made some arrow stripes with green tape. To get the stripes plumb (lodret), I put a length of tape on the wall. I measured and put marks every 14 inches at the top and bottom. Then I used my foot to hold the bottom of the tape while I loosened the tape, straightened it and fastened it to the top. I used a piece of string with a weight at the end to check if it was plumb and adjusted when it wasn't. The arrow points I kind of free handed so they are not totally the same all over. I cut a piece of Frog tape at an angle and stuck it to the stripes. Then I painted a darker turquoise over the whole thing. I used Valspar's Shaded Lake and immediately pulled the tape off after the second coat. I had put the arrows in the spaces where I imagined they would not be covered by the mirror and artwork later. Then I sewed a bunch of pillows. Got some flowers, hung the art and mirror. I bought all the fabric at Fabric.com - except for the owl fabric, which I bought in Denmark a couple years ago. I got the foam and batting at a local store and I had another local lady sew the cushion cover. I bought piping and grosgrain ribbon to cover the piping and I just love how that looks. I picked up the cushion yesterday afternoon and I just can't believe how well it's made. I could not have done the cover nearly as well myself. The moose is a work in progress. It's a little garage-y, but I kind of like it at this part-way finished state. The wreath on top of the wall cabinet was one I made for Christmas last year, but I have it up all year long. 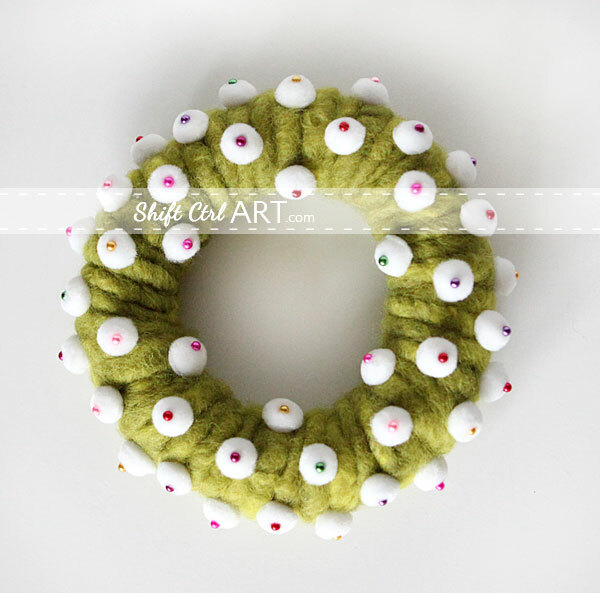 You can read all about the wool wreath here. I really like how the baskets have that light bottom now. 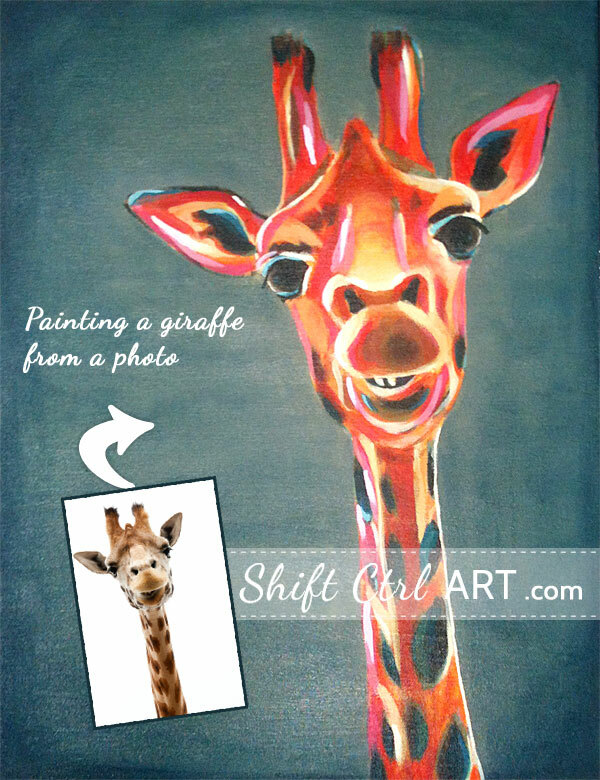 And of course I love my new Giraffe rug. So there you have it. My little mini project from this week. Have you ever made patterns with green Frog tape before? I am always amazed at how much better it works than other types of tape. This article: Let's get Frog Taping! Entry hall reveal! first appeared on http://ahomefordesign.com.